The GIF version of the Postcode Map is a High Resolution Image, suitable for viewing on screen and digital devices or for use within GIS Systems. 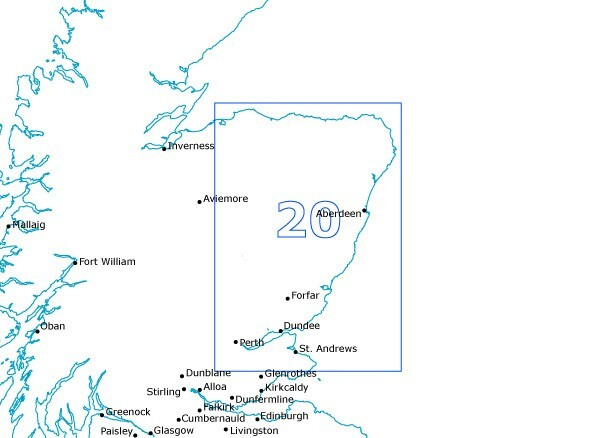 This Angus & Aberdeenshire Sector GIF shows Postcode Sector boundaries (AB1 1, AB1 2 etc) on a clear colour background and is perfect for determining Postcode boundaries for sales, planning mailshots or as a regional reference guide. This GIF covers an area from the North coast of Aberdeenshire to Auchtermuchty to the South and from Forres in the West to the East coast.